To a Successful Year 2015/2016! I believe that we all agree that 2014/2015 has been a remarkable year at Glyfada Toastmasters Club! I take this opportunity to thank you all for what has been a fabulous year! Particularly I will like to thank our outgoing committee – Fotini, Anna, Eliza, Eley, Alexandra and John – and all the club members who have provided support to the committee during the year. I am in the pleasant position to announce that we have done it! Glyfada Toastmasters Club is President's Distinguished Club for 2014/15! We set out our goals at the start of the year. Congratulations to each and every one of you who have contributed to this significant achievement – the first time in the club’s history. We gladly give them our support and best wishes for all the best! Our next Regular meeting is on Monday, September 28, 2015 please sign up for roles by emailing VPE Eley. Eliza studied Marketing Management in the American College of Greece and holds an MBA degree from ALBA Graduate Business School. She developed her career in marketing in various multinational companies until she was drawn in the advertising and event management business. Eliza enjoys photography, interior design, sea travelling, food, wine and being with friends. Eley is the co-founder of Meet Culture. Meet culture is an organisation, which is focusing on the cultural exchange between Greece and China. She is also a Chinese traditional instruments performer and teaches Guqin and Guzheng. She loves culture and fell in love with Greece, which made her into a Chinese travel blogger that mainly writes about Greece. She’s also enjoying tea preparation, salsa dance and meeting interesting people. Nick is a full time web engineer for the last decade, with a wide range of experience across multiple technology sectors; a self-proclaimed maker of "Things That Work (TM)". He also enjoys tinkering with home made electronics, playing the bass guitar, and tango dancing. Theo studied various disciplines, ranging from Computer Engineering up to Marketing and Psychology. Currently establishing at IT peripherals distribution and having a keen interest in machine and person interaction. He is a member of Glyfada Toastmasters Club for the past seven months and enjoys cooking, wine, and always eager to find good excuses for traveling. Foteini, born in Athens, has studied Economics in National Kapodestrian University of Athens and Management Business Administration in Hellenic American University. She is accountant in a shipping-drilling company while she loves dancing and travelling. The last four years, she is a member of Glyfada Toastmasters Club. Alexandra has been a Toastmaster for almost 4 years. She has been part of the Toastmasters Officers Body for the last 3 years covering positions of the VP of Education, President and Treasurer. Alexandra is a Sales consultant for the educational organisation Cambridge University Press based in Athens. She loves nature and likes to spend time with animals. She also enjoys good food and Greek wine varieties with good friends. Anna is an Australian artist and illustrator, running her own small arts business from her studio in Athens. Her work covers a range of fields, including painting, graphics, screen printing and jewellery making. When not making things, she likes looking at things other people made in museums and galleries, looking at things that grow on mountainsides and appreciating the fine craftsmanship of chocolate. JOIN US IN BCA College Glyfada, 95 Poseidonos Ave.
We are pleased to announce that starting March 2015, Glyfada Toastmasters will be hosted in BCA College Glyfada campus (95 Poseidonos Ave.) We would like to thank BCA for a their great collaboration and support and we are looking forward to a great year full of public speaking and leadership skills development! You are all invited to join us and meet our club in a welcoming and friendly atmosphere! Please advise our meeting schedule for March below or visit our meetup Calendar for upcoming months. Monday, March 2 - 19:00 P.M.
Monday, March 16 - 19:00 P.M.
Monday, March 30 - 19:00 P.M.
Our first special event meeting in BCA was full of guests and new members. Looking forward to seeing you all again! Looking to develop your speaking and leadership skills? Ace a job interview? Ignite your career? Glyfada Toastmasters would like to invite you to a special workshop at BCA in Glyfada on Monday, February 16. At the workshop participants will learn how they can get the skills and confidence to express themselves effectively in any situation and overcome their public speaking challenges by giving and receiving constructive feedback and becoming better listeners and better speakers! Every Toastmaster meeting is a supportive and positive learning experience in which members are empowered to develop their communication and leadership skills, resulting in greater self-confidence and personal growth. A participation Certificate will be given out to all attendants. 95, Poseidonos Ave & 1, Fivis str. Join the meeting to take part in the prize draw for two winners of a "Public speaking and Leadership workshop" for six months! There is not a specific instructor in a Toastmasters meeting. Instead, members evaluate one another’s presentations. This feedback process is a key part of the program’s success. Do You Have These Four CQ Skills? Cultural intelligence (CQ) is a concept based on years of academic research across dozens of cultures, says David Livermore, president of the Cultural Intelligence Center in East Lansing, Michigan. That research shows leaders with high CQ have strength in four distinct areas, all of which are required to lead effectively in culturally diverse situations. Drive. This is a leader’s level of interest and motivation to adapt cross-culturally. Conventional thinking holds that most people are naturally motivated to acquire cross-cultural capability, Livermore says, but that’s not always the case. Drive determines whether leaders have the confidence and resilience to deal with the challenges presented by intercultural work. Knowledge. This dimension captures a leader’s level of understanding about culture and how that knowledge is applied to conduct business across borders. CQ knowledge not only is about grasping how a distinct culture influences the way you think and behave, Livermore says, it also includes overall understanding of the ways cultures vary from one context to another. It requires a macro-level understanding of ways that communication styles, prevailing religious beliefs, gender role expectations and more differ across cultures. Strategy. This refers to leaders’ level of awareness and ability to strategize across cultures. Livermore says this capability requires “slowing the pace long enough to carefully observe what is going on inside our own and other people’s heads.” While many leaders can “wing it” in meetings with their own cultures, they need more forethought in cross-cultural contexts since many of the rules change. Action. This is a leader’s ability to act appropriately in a range of different cultural scenarios. One of the most important components of this capability is knowing when to adapt to another culture and when not to, Livermore says. Leaders with high CQ learn which actions will—and won’t—enhance effectiveness in certain cultures and then act on that knowledge. Humor can make a good speech great! Using humor in a presentation is a challenge for most presenters. In most cases humor can do a lot more than make people laugh. It brings attention to the point we are making as a speaker. It helps the audience remember our point! It breaks down barriers so that the audience is more receptive to our ideas. When humor is used correctly, it can improve performance, promote creativity, energize meetings and encourage positive thinking. Appropriate humor relaxes audience and makes people feel more comfortable with us as a speaker. Humor helps people to get acquainted, groups to bond into teams and strangers to feel welcomed. Watch how you can use humor in your public speeches! Glyfada Toastmasters is hosting a special Table Topics Meeting next Monday to celebrate Christmas! We will all have the opportunity to participate in eight fascinating and different table topics, to exercise our impromptu speaking and most important to have fun! Table Topics is a long-standing Toastmasters tradition intended to help members develop their ability to organize their thoughts quickly and respond to an impromptu question or topic given by the Topicsmaster. Join us to have a fun learning experience accompanied with delicious food in a festive and friendly atmosphere! REGISTER NOW by clicking the ORANGE BUTTON above! Save the Date: Speech Marathon coming up! We all know that Marathon origins from Greece, however have you heard of Speech Marathon? Are you looking to develop speaking and leadership skills in your professional life? Next Monday (24th, Nov) 7pm at 4th floor, Alpine Center/Palmyra Beach hotel (Leoforos Posidonos 70 Glyfada 16675), Toastmasters Glyfada will be hosting a special event meeting “Speech Marathon”. We will have various interesting and engaging speeches from our members in different topics. Don’t worry, we promise you will not be “exhausted” by participating our Speech Marathon, instead you will find it very exciting! If you don’t believe it, just give it a try! 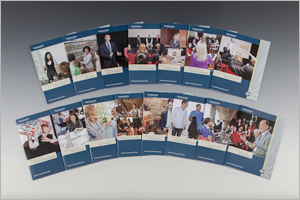 In Toastmasters Glyfada, we provide a mutually supportive and positive learning environment in which every member has the opportunity to develop communication and leadership skills, which in turn foster self-confidence and personal growth. Through learn-by-doing, you would not only learn how to speak in public, but also how to listen and feedback effectively. Last but not least, you will have the opportunity to improve your leadership skills as well. You are not going to miss this special event meeting, join us on next Monday afternoon meeting.